Financial Director (FD) legal accounting software and practice management software meets and exceeds the requirements prescribed by the Solicitors Accounts Rules. Recommended by Accountants (for audit purposes) and the LAA (for all publicly funded work) FD comprehensively covers all a practice’s needs. FD is a completely integrated part of our overall practice solutions. Fully connected to our case management software there are versions for the larger and smaller practice. Financial Director (FD) is fully equipped with all the standard reports your practice will need. These reports cover areas that affect the practice as a whole such as Key Performance Indicators, as well as specific areas of work such as LAA criminal contract billing. The reports are automated and can be run silently and delivered by email. Financial Director can allow up to 24 periods to be open at any one time, covering the whole of the current and previous financial years. In normal use the current, last and next periods are kept open allowing posting into the current, next and last month. Electronic statements can be downloaded by the user’s bank and set to be automatically reconciled with the computer records. Our legal accounting software can then ‘compare’ the electronic statements and tick items that are reconciled. The interest calculator calculates client account interest in accordance with the SRA rules, on any number of client accounts. To see the product in action, please request a NO-OBLIGATION demonstration of FD legal accounting software below. 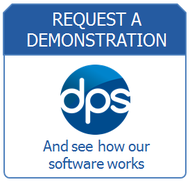 DPS have been providing legal accounts software for 30 years.